You must be a registered member with a verified email address and password to gain access to many areas of this web site. Please login below or register for new member access. Log In to your SCCID account. Email address not found or incorrect password. Please try again. An email has been sent to you with a link to a page where you can change your password. 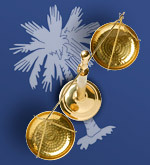 This system is solely for the use of authorized South Carolina Commission on Indigent Defense (SCCID) users. The information contained herein is the property of SCCID and subject to non-disclosure, security and confidentiality requirements. SCCID shall monitor system usage for unauthorized activities. Any user accessing this system expressly consents to such monitoring. For informational purposes only. Past success does not indicate the likelihood of success in any future legal representation.